It may not be fair to say all the top members of Ghana’s main opposition party share the same views or approve the way their beloved party is now heading in terms of the crappy campaign strategies, including the ongoing moves to pick NDC’s 2020 general election presidential candidate—a selection process many Ghanaians see as a mere political formality to coronate ex-president Mahama as the flag bearer to humiliate him at the polls one more time. Clearly, former president John Dramani Mahama is fully aware of two unfolding realities within his party as we speak; one of which is that no matter what (unless something unthinkable happens) he will be selected as the NDC’s presidential candidate for the 2020 elections. This is not because he is the best among the pack; but for the fact that the ex-president is filthy rich as Americans would say, and not only has deep campaign war chest but also he has unbreakable hand-grip of his party’s internal electoral process at the moment. The second reality which Mr. Mahama is most likely to deny in the full glare of the public is that no matter all his tricks to get elected in the 2020 general elections, he really knows he will not be successful but self-serving motives have blinded him to some fundamentals of life. But, this time around, his grand scheme is he will not concede defeat gracefully as he did in 2016. This means if he has to go down the second time via electoral defeat, he has to sink ignominy with a lot of people even if he has to incite his followers to resort to violence. He just gave a hint. Thus, the riots that occurred in certain parts of Ayawaso West Wuogon Constituency during the by-election to replace the empty seat of the late MP E. Kyeremanteng Agyarko, could not have been the machinations of the ruling NPP but the followers of Mahama-hijacked NDC.Think about this for a minute: the Ayawaso West is considered one of NPP’s strongholds and hence many people had tipped the party to win the by-election there on January 31, 2019. If the constituency leans toward the NPP as many Ghanaians believe, what sense or incentive does the party have to cause mayhem in an election it was favored to come on top, anyway? Prior to the by-election in Ayawaso West, all predictions or indications pointed to the ruling NPP candidate Madam Lydia Seyram Alhassan’s electoral victory. 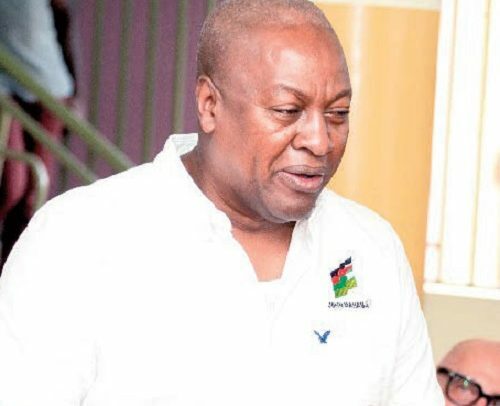 Obviously, the thought of the looming defeat was an unsettling reality the Mahama-commandeered NDC could not face; so, why not resorted to the party’s so-called “revolutionary root” by creating disorderly atmosphere as the (P)NDC was widely known for, before its dramatic transformation into “democratic” NDC party. That is to say, Mr. Mahama’s NDC believes in “peaceful democratic elections”as long as hisparty wins or he does not lose the presidency the second time in a row come 2020. Surely, many of us may not have the water-tight proof of ex-president Mahama/NDC’s culpability regarding the violence or crimes reported across the nation for the past couple of years, but none of us must also forget that in competent and lawful courts, circumstantial evidence can be used in trials for conviction and incarceration of criminals. Some of us are curious and trying to understand why soon after violent crimes are reported anywhere in the country, either former president Mahama or some of his paid cheerleaders jump in front of the sad events before the facts are gathered and start blaming Nana Akufo-Addo government and the NPP as a whole. Is this method of operation by JDM and his lackeys just a coincidence or one of the grand schemes hatched by the NDC in a calculated effort to muddy the water upstream and quickly swim back downstream to complain and protest bitterly about the perpetrator(s) behind the mess? With this kind of “game plan” why wouldn’t Ghana be “insecure”? Bernard Asubonteng is US-based socio-political writer.